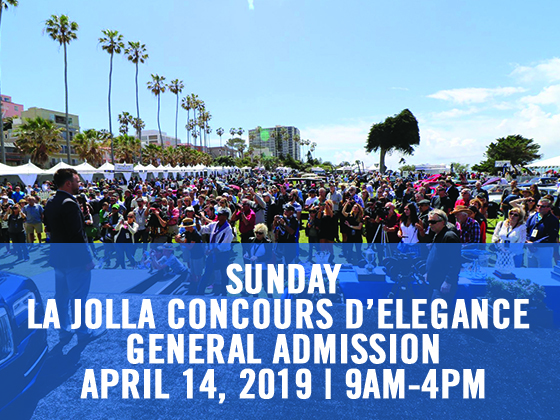 In just a few weeks La Jolla will become a diamond of the West Coast by embodying its nick name the “the jewel" with its one-of-a-kind spectacular event called "La Jolla’s Concours D’Elegance”. 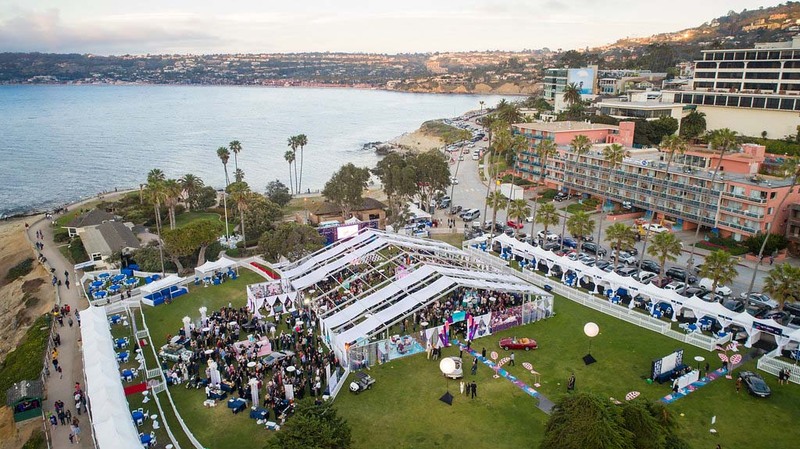 Friday, April 12th-14th 2019 marks the dates of the local event, drawing in spectators from around the nation to indulge in the elegance, luxury and class we have all grown to know and love in La Jolla. 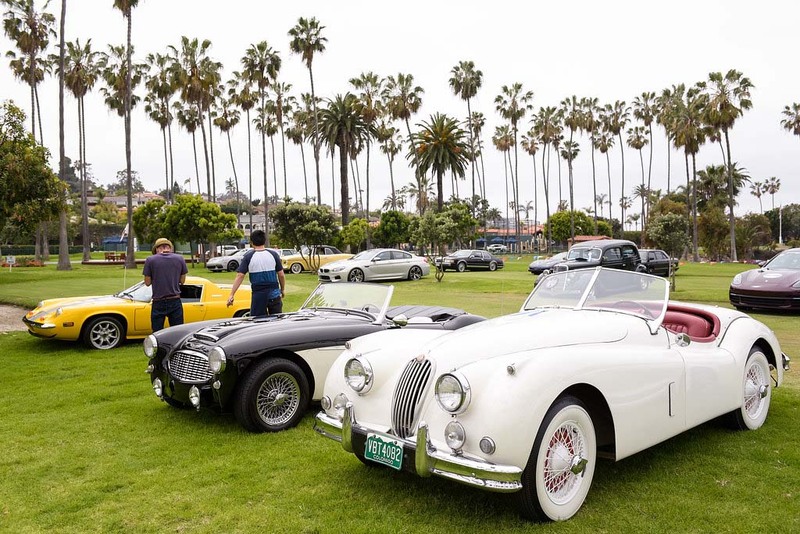 Experience the finest automobile gems in this once in a lifetime chance to view over 150 spectacularly restored vehicles that will be displayed on the La Jolla Cove lawn alongside the breathtaking Pacific Ocean. The event sports horseless carriages. 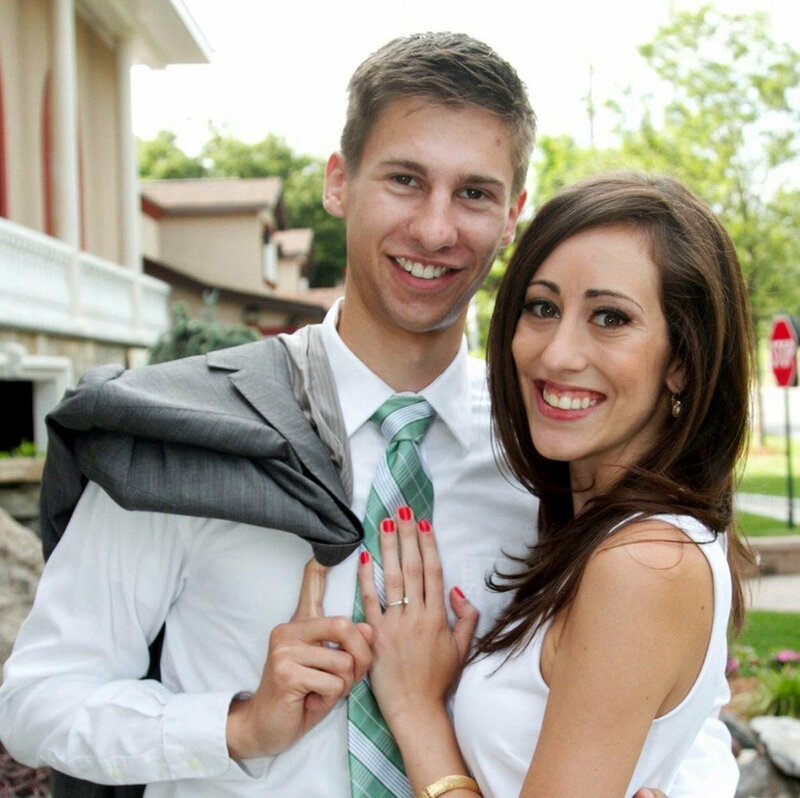 British & Italian marquees, woodies, 50s classics, American sports cars and much, much more. This collection is truly a display of “moving sculpture” – each automobile more rare and more beautiful than the next. In addition to the spectacular display on the Concours lawn, guests can also turn their attention to the sky for a spectacular vintage aviation show featuring the finest restored aircrafts from yesteryear. But that's not all. 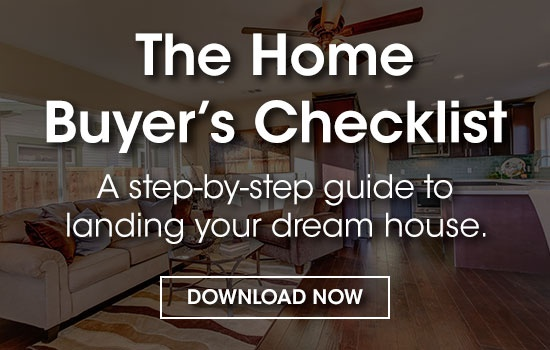 Here's everything you need to know surrounding the event. Don’t miss the Friday night kick off cocktail party for the La Jolla Concours d’Elegance extravagant weekend events! 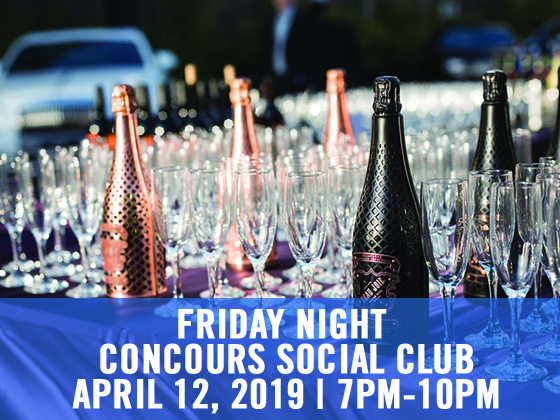 The Concours Social Club will be divided into overlapping rooms of contemporary luxe, whimsy and color at this buzz worthy party. Gear up for a great afternoon of free music, entertainment, fantastic shopping, tasty treats and, of course – incredible cars. Throughout La Jolla’s famed shopping district you’ll get up close and personal with Aston Martin, Lamborghini, Rolls-Royce, Bentley, McLaren and Icon Aviation’s portable aircraft. 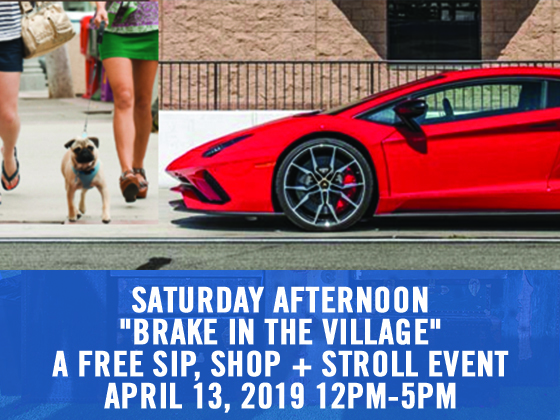 Register in advance to receive your VIP “Brake in the Village Guide” as well as a chance to win fantastic prizes courtesy of the La Jolla Village Merchants Association and its members. Clocks will Tick & Gears will Click as you drive into a boundless world of romance & adventure at the Saturday night VIP spectacular! Dance through time and let dreams be reality and imagination drive decision as technology & aesthetic design will create a perfect collision of past meets the future and fantastical conundrums. 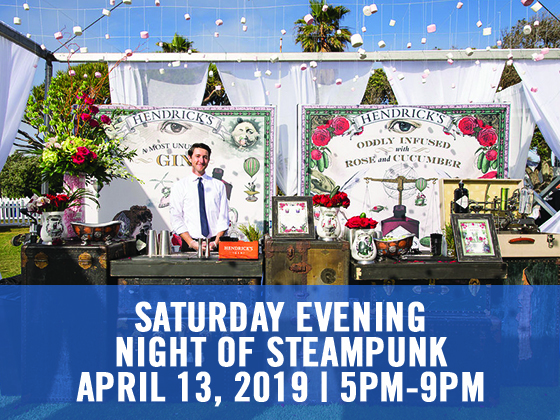 The night’s clock will take you back in time while you enjoy delicious tastes from 20 of San Diego’s finest restaurants, taste creative cocktails from the William Grant Portfolio, bid on Silent and Live Auction items, and enjoy a hosted bar while dancing through the night. 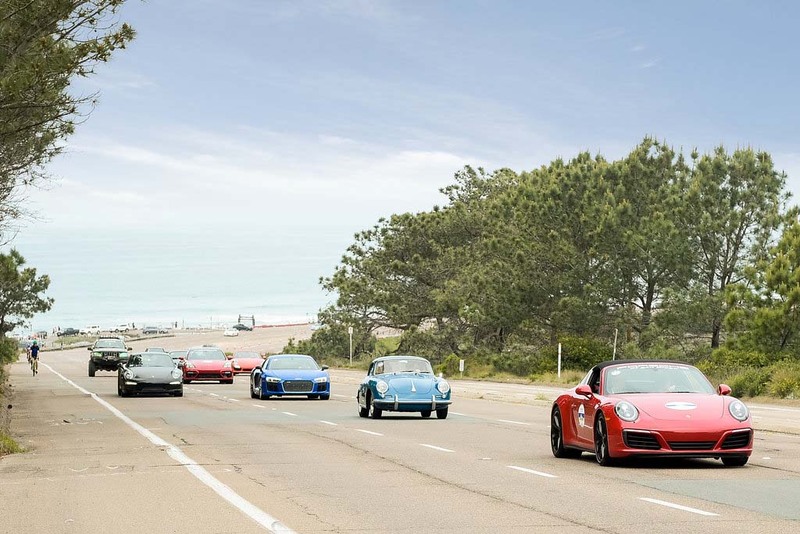 This is a once in a lifetime chance to view over the spectacular one-of-a-kind vehicles that will be displayed on the La Jolla Cove lawn along the breathtaking Pacific Coast Ocean. Enjoy live music, spectacular views on the lawn, sky and sea, and enjoy the day. Each General Admission entry receives a commemorative program (while supplies last) and a complimentary French 75 Cocktail and honey tasting from around the world. As a bonus for all of the above. 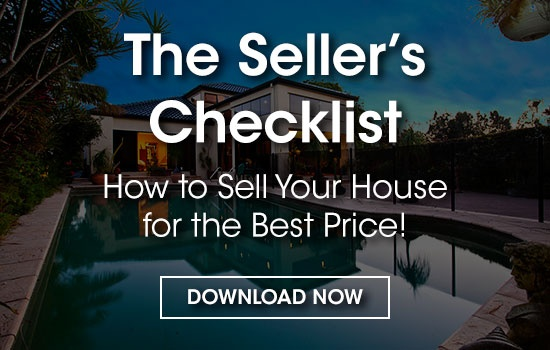 100% of the net proceeds benefit the local charity ”The La Jolla Historical Society”.